In 2016, the WVCDL authored, and was instrumental in the passage of historic legislation. HB4145 (known as "Constitutional Carry") corrected an abhorrent condition, in which the government took our right to self defense, and sold it back to us under the guise of a "license." The WVCDL was also instrumental authoring and securing the passage of SB347 (Constitutional Carry), but the bill was vetoed by Governor Earl Ray Tomblin. In 2016, the legislature overrode a similar veto thanks to your efforts. Click here for a list of WVCDL accomplishments. For previous WVCDL News, click here. WVCDL is proud of it's accomplishments and remains the largest West Virginia-based gun rights organization. Click here for more information about the WVCDL. 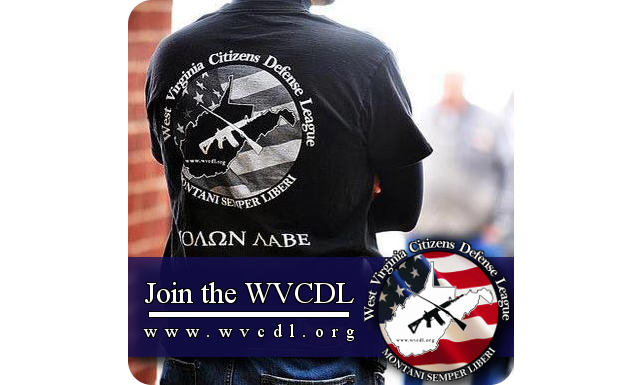 Click here for WVCDL membership information. Click here to volunteer to help the WVCDL.